The Federal Trade Commission (FTC) has reached a settlement with Google over charges that it violated user privacy when it launched the Google Buzz social network. Google has agreed to fairly harsh settlement terms after the poorly-handled launch of Google Buzz resulted in thousands of complaints to Google and to the FTC. Google unleashed Buzz with a relative amount of fanfare. It was rolled out to Google users through Gmail, but the options for declining to join Buzz were ineffective--causing many who chose not to join the Google social network to be enrolled anyway, and those who jumped on board were not fully informed regarding the extent their personal information might be shared with, or exposed to Google users outside of their own personal network. The FTC also notes that--although users were apparently offered options not to enroll in Buzz, or to disable Buzz after enrolling--Google misled users with deceptive practices that violated their privacy. Even Google users who elected not to participate in the Buzz social network were still automatically enrolled in certain features of Buzz. To settle the FTC charges, Google has agreed to a fairly stringent and comprehensive settlement. The proposed settlement bars Google from any future privacy misrepresentations, requires Google to implement a comprehensive privacy program, and calls for Google to submit to regular, independent privacy audits for the next 20 years. "When companies make privacy pledges, they need to honor them," said Jon Leibowitz, Chairman of the FTC, in a statement announcing the Google Buzz settlement. "This is a tough settlement that ensures that Google will honor its commitments to consumers and build strong privacy protections into all of its operations." The FTC will make the terms of the Google settlement available to the public, and the agreement is subject to public comment for a period through May 1. 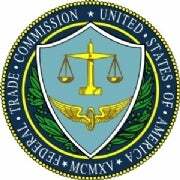 At that time, the FTC will consider the feedback it has received and determine whether or not to make this settlement agreement final.